Traffic accidents are always unexpected, unwelcome, and time consuming. They can sometimes lead to terrible pain and suffering, and too frequently they result in death and permanent injury. Even in small towns, no one is immune from the possibility of becoming the victim of a car accident in Ferndale, WA. Fortunately, there are car accident lawyers in Ferndale who specialize in personal injury cases to help you fight for the settlement you deserve. What Do I Lose in a Car Accident? If you've been injured in a car accident recently, you may just be starting to realize how much pain and suffering a senseless accident can cause. Right after the accident your body went into shock, which is why it may have taken several days for you to notice any symptoms of injury. Receiving treatment for your care is expensive, as are the repairs your vehicle needs. If you survived a brutally violent crash, your entire vehicle may need to be replaced. On top of that, you are possibly missing wages at work if you are not physically capable of returning to work following the accident. Most people cannot afford to miss work for several weeks while they are racking up medical debt and paying for car repairs or a new car. This is the purpose of car insurance, and our goal at MyTrafficMan is to get you the maximum settlement possible to leave the smallest dent possible in your emergency funds. How Do I Receive a Settlement? Receiving a settlement from your insurance company is not impossible to do on your own; however, it is strongly advised against. If you have never negotiated with insurance companies, now is not the time to start practicing when you really need the best settlement you can get. While you are recovering, put our firm personal injury experts to work getting you the compensation you need. Request a free in-depth consultation with one of our experienced car accident lawyers in Ferndale today by calling 360-734-0908. 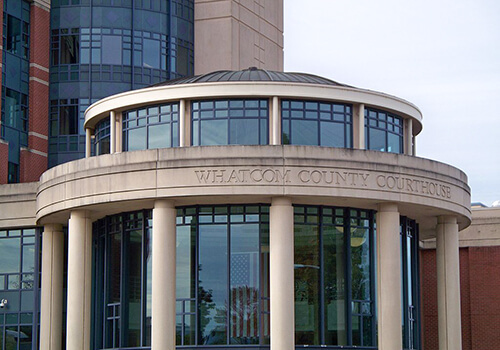 At MyTrafficMan, we provide you with a network of attorney offices in Whatcom, Skagit, and King Counties. We are your link to a select alliance of top-caliber lawyers for legal care in DUI, criminal defense, car accident claims, and speeding violations throughout the state of Washington. Call now.